It’s that time of the year again, where chilly evenings are filled with gift wrapping and more gift wrapping … and flashbacks to my days as Gayfer Girl. It may have been a teen board privilege to gift wrap, but those triangle-shaped perfume boxes were not my friend. But isn’t a beautifully wrapped package just as important as the gift that’s inside? Back in the day, department store wrapping was the penultimate. Luckily, we’ve come a long way, baby! I understand that in some Southern families, gift wrapping is considered a “competitive sport.” Hmmmm, I thought that was the purpose of Christmas cards. Anyhoo, if you’d like to bring home the gold medal, that means finding the chicest and most distinct wrapping paper around. Check out these favorites! 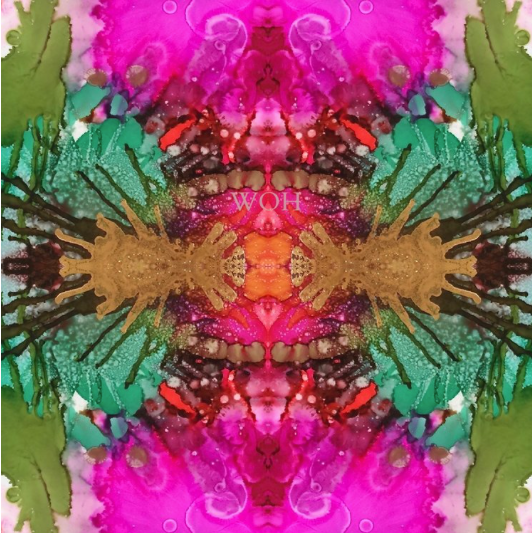 Windy O’Connor, a favorite Charlotte-based fine artist who specializes in the most amazing intense-hued abstract art, has translated some of her colorful art pieces into wrapping paper — and goodness gracious are her designs gorgeous. Several patterns are available here. 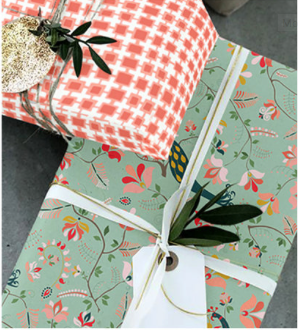 House of Harris, a newly launched luxury fabric and wallpaper house, has added wrapping paper to their mix. The papers are as darling as the house’s founders, interior designers and sisters Charlotte Harris Lucas and Liz Harris Carroll. 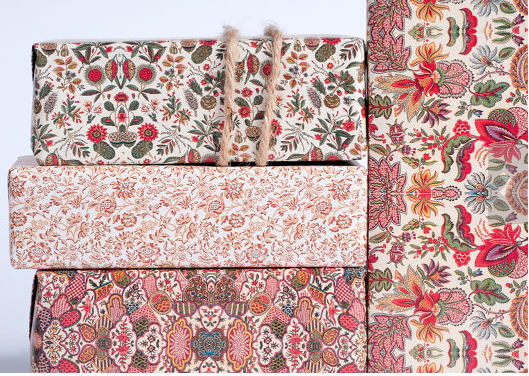 Etsy is always a fun resource for interesting finds and these vintage-inspired Liberty print papers are adorable. 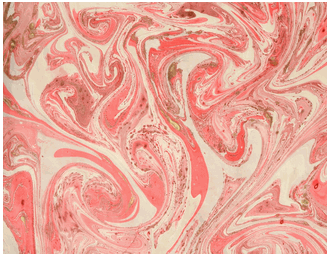 For that extra-special gift, this Italian hand-painted marbled gift wrap, available in two colorways at Luxe Paperie, is beyond fabulous. Oh, and when you are finished with the holiday season and still want to admire your wrapping paper finds? Take an old book and wrap the outside cover for an instant stylish upgrade to otherwise boring bookshelves. BAM.